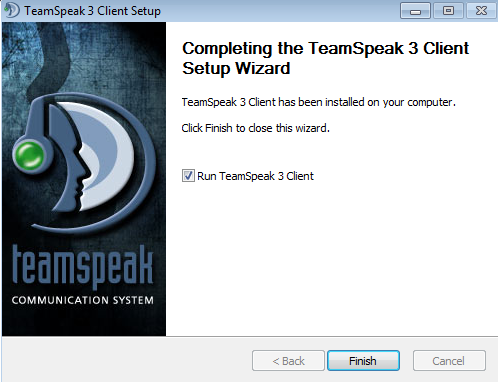 Go to http://www.teamspeak.com/downloads.html and download the latest version for your operating system. Most likely if you are windows 8 or newer its going to be the 64-bit version. Now that you have the file downloaded, go ahead and start the installation, just follow the prompts. Continue to press next throughout the installation, you can install everything at default settings. It should take only a few moments to complete this install. 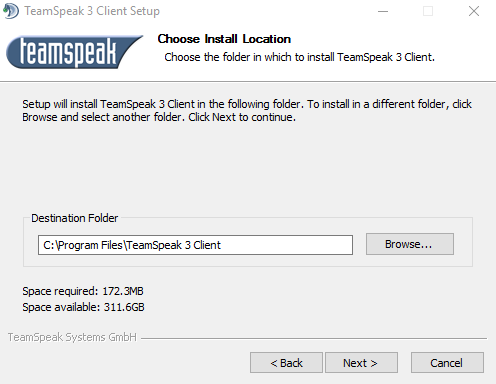 TeamSpeak is pretty minimal. 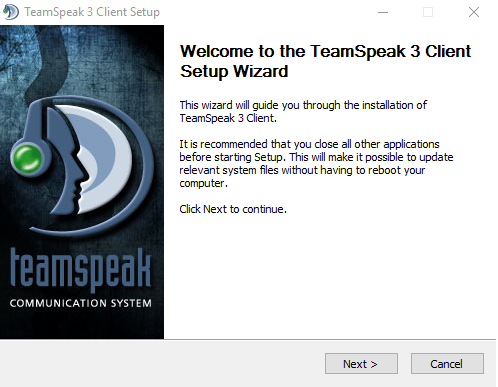 The next screen allows you create an account with TeamSpeak. 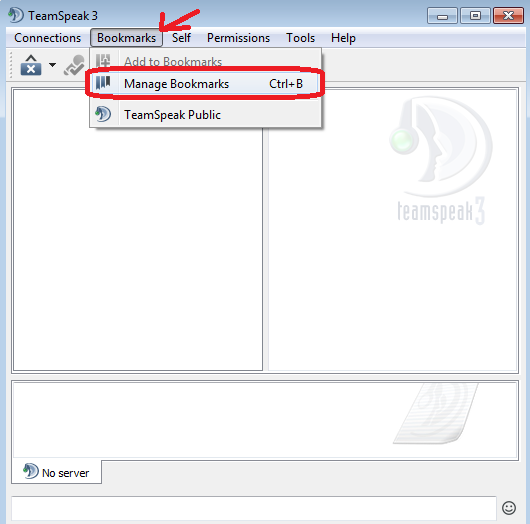 This allows you share your bookmarks and identities across multiple computers and platforms (TeamSpeak is also available for Apple and Android phones.) We are not going to go over that part, for the demonstration, I'm going to recommend you click "Continue without logging in." Next please select your username to connect with, we prefer you to use your main in game names so we know who you are. You can also use the format "Yourname" - (YourCharactersName). 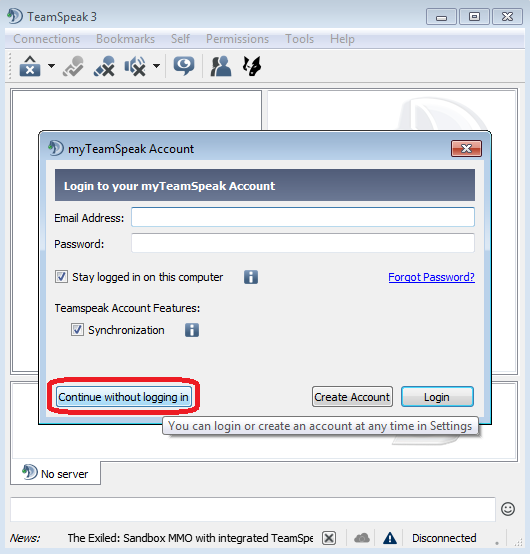 If ever needed the TeamSpeak login information is in your launcher! We are almost there! The final step is setting a talk key. Go to the "Tools" menu and select options. 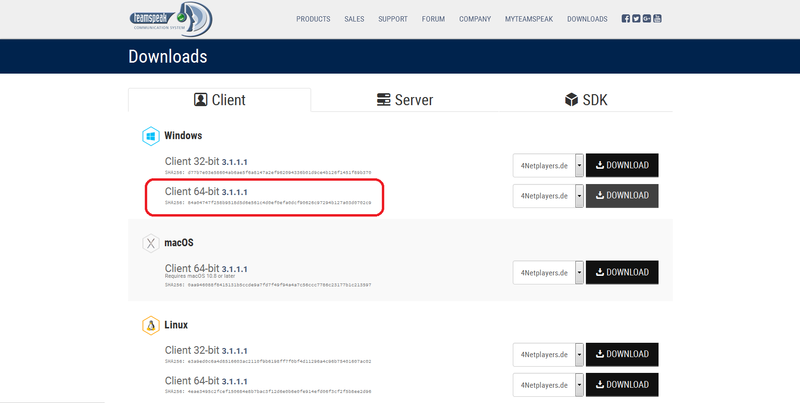 (Alt+P) Go to tab "Capture", select Push-to-Talk and assign a key. That's it! Your all done, please be aware that our lobby "Landing" is a no-talk channel. Please move down to general chat or another available channel. Good luck! Azureth is the author of this solution article.